And what says Easter more than a good ‘ol Hot Cross Bun? A guilt free, super easy, gluten free Hot Cross Bun, that’s what! I’ve always been a fan of these little sweeties. I mean, they’re just so soft and sweet. So this year I decided to whip up my very own batch that were totally gluten free, veeeery easy (a prerequisite in my kitchen) and just delicious enough to enjoy but not so full of refined sugar that you feel compelled to devour the lot in a frenzy of butter and crumbs! 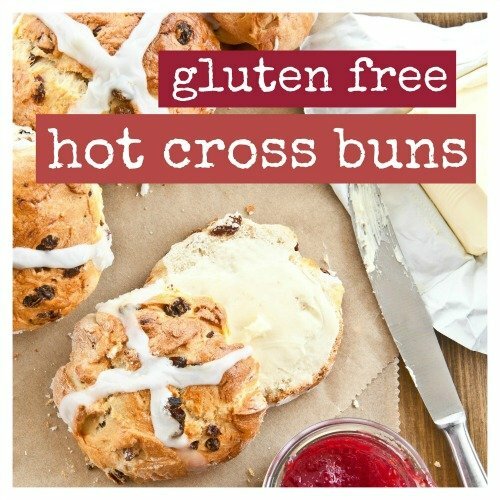 Here they are… Gluten Free, Super easy (and deliciously guilt free) Hot Cross Buns! Preheat oven to 220 degrees Celsius. 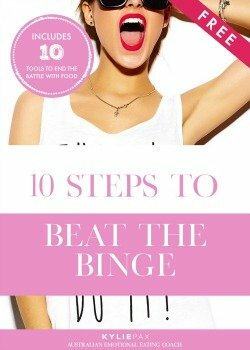 In a large bowl, combine butter, coconut sugar, sultanas, raisins and yeast with warm water and stir to combine (use a wooden spoon). When thoroughly mixed, add bread mix and use wooden spoon to combine. Cover and allow the dough to rest for 15 to 20 minutes. While you wait, dust your kitchen bench with more gluten free flour and when ready, place the dough on the counter and knead until it becomes “elastic”. Mold the mixture into balls and place on a greased oven tray, cover and allow to sit for a further 45 minutes to rise. You can brush each bun with some melted coconut oil before applying the cross and placing in the oven to bake for 15 to 20 minutes. Share with a friend or bake a batch for the neighbors. Just what ever you do, try them and spread the word! 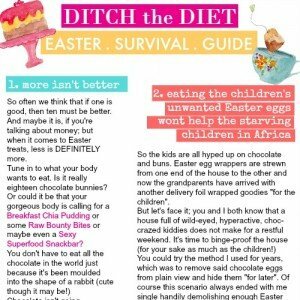 Did you miss the FREE Easter Survival Guide? Don’t worry, there’s still time before the Easter Bunny shakes his furry little tail at your door… CLICK HERE to get it! Loving this? Shout it out below! What’s your fave Easter treat, chocolate eggs, Easter buns or both? Till then, lovely… Happy Easter!